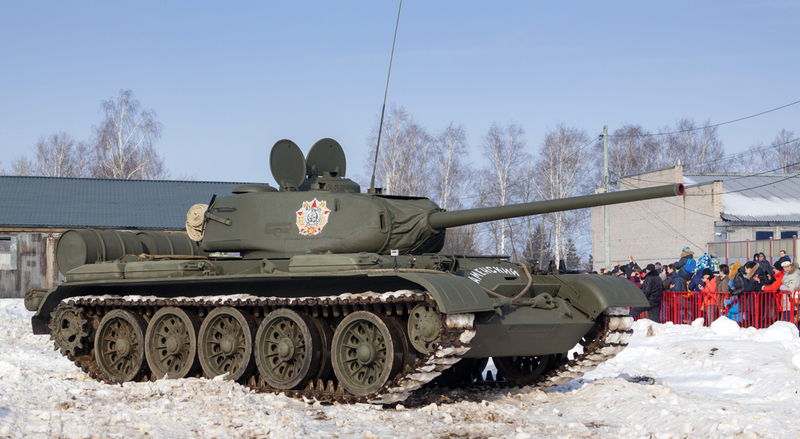 The T-44 medium tank came about as a successor to the world-famous T-34. However, it was a near-total redesign. It was made with the intention of having greater cross-country performance and more effective armor. In 1943, the plan was to mount the 85 mm (3.35 in) gun on a new, and improved platform, taking into account all the lessons learned from the T-34. However, when the T-34/85 was produced, it was clear that the T-44 lost out on its cutting edge design somewhat (as it shared some features with the T-34/85), and the design was considered less important than increasing T-34 production. Developing and producing a new vehicle would slow down overall production of tanks – something the Red Army could hardly afford, even by this stage of the war. The T-44 project was reworked later in the war, and although it was mass produced, it was still a very secretive design. The T-44 design was subject to some attempts to give it a larger armament after the war, which led directly on to the highly successful T-54/55 tanks. A T-44 on display in Brest, Belarus. The design process of this tank was long, laborious, and goes as far back as 1940, when T-34 production had only just started. There were various plans to improve the tank’s capabilities which led to a whole host of new designs such as the T-34/85, T-34/100, and T-43, just to name a few of the more commonly known ones. The T-44 was another of these ideas has its roots in the T-34M. It was designed with greater armor, a three-man hexagonal turret (similar to the T-34/85), modern torsion bar suspension and road wheels that featured internal shock absorption, which would improve its off-road capabilities. The regular T-34 used Christie suspension that had now become outdated and had a tendency to give a very uncomfortable ride. Further improvements included greater fuel capacity and more ammunition carrying space. The transversely-mounted engine was connected to an 8-speed transmission system. A transversely-mounted engine meant that the crankshaft axis was perpendicular to the long axis of the vehicle, which not only made the entire transmission system more reliable (a real problem faced by Soviet tank crews during the war), but it made the system smaller, thus giving the crew more room, which was a total luxury in Soviet tanks. Five sets of armor plates for the hull of a T-34M were produced by the Zhdanov Metallurgical Factory and given to Zavod Nr. 183 in Kharkiv. However, the facility had no time for this development, as it was far too busy producing the T-34, in light of decimating AFV losses against the Wehrmacht in 1941. Work on the T-34M ceased in early 1941, and the idea of gradually improving the design was considered the best way to ensure efficient production of vehicles to fight the war. Development of an almost totally new vehicle would have taken up precious time and resources, as well as there being a period in which factory workers, factories, and tank crews had to be retrained and retooled for the job. The next major development was the T-43 in 1942. As a result of what was learned on the Eastern Front, the Red Army needed a stronger medium tank to deal with the more effective guns of newer German tanks, such as the Tiger and more updated versions of the Panzer IV. The Red Army wanted better protection, but as little weight increase as possible. They recognized that mobility would play a key role in their deep battle tactic, as proven with strong armored but slow tanks like the KV series, which were deemed unsuitable for such tactics. However, the T-43 project focused on increasing armor and allowing a turreted vehicle to carry an 85 mm (3.35 in) gun, at a time when ease of production was paramount. The T-43’s entry into production was canceled, despite being recommended for service. However, there was one significant development that the designers kept – the turret. This new turret could not only mount the much-needed 85 mm (3.35 in) D5-T, but it also had space for three men and more ammo. Just as importantly, it fixed some the problems encountered with the T-34/76’s turret, such as the fact that shells would bounce off the sloped frontal hull armor and directly into the turret ring, killing crew members if not totally knocking the tank out. This new turret was mounted on the T-34, and the vehicle was renamed the T-34/85. The development of the T-34/100 also came to an end, after it encountered various problems. For example, firing the cannon heavily stressed or broke the tank’s suspension. Moreover, the 100 mm (3.94 in) gun was deemed unnecessary at that time. The T-44 had several generations of prototypes. Development started in autumn 1943, in the then-Ural-based Zavod Nr. 183. Work on it started under the direct order of Stalin, who had also refused the T-43 for service, as he believed that Chief Designer A.A. Morozov would come up with something better. The idea was to keep the high mobility of the T-34, but give it armor like the KV. Such a project had been attempted by the KV-85 and IS series, but the Soviets needed a medium tank that was cheaper and easier to produce. In 1943, the design of the vehicle, as well as a model, was presented and designated the Object 136. Three prototypes were produced between January and February of 1944. The first two had 85 mm (3.35 in) guns and the final one had a 122 mm (4.8 in) D-25-44T tank gun. The latter was based on the D-25 field gun, with the exception of a better muzzle brake, and other minor improvements making it more suitable to being mounted in an enclosed turret. 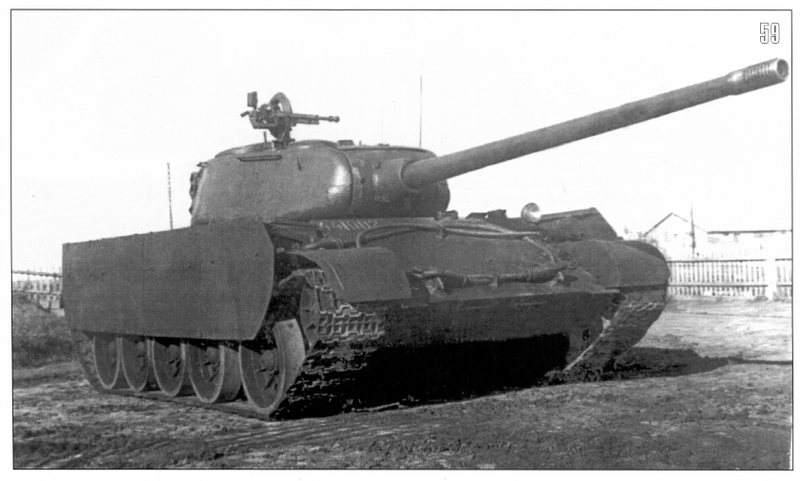 This prototype was called the T-44/122. Surprisingly, the T-44-122 only weighed 30 tonnes! This was because of the innovative engine placement, as mentioned earlier. The crew compartment was much bigger, but the turret was placed directly over the center, giving the driver less space, whilst reducing the overall length of the tank, again, allowing it to shed more weight. However, the ammo rack had to be placed on the left side of the vehicle and could be hit more easily than one in a more conventional tank. Armor thickness was 75 mm (2.95 in) for hull and 90 mm (3.54 in) on the front of the turret. The side armor was 45 mm (1.77 in) thick and it could have a 30 mm plate added. A rare photo of a column of T-44s. The lead tank has an Order of the Red Banner painted on the turret. However, there was widespread skepticism over the design – the engine and transmission in particular. A 12 cylinder engine with a displacement of 40 liters which was perpendicular to the direction of travel could break the connection rods and effectively disable the tank. However, Morozov argued that whilst transmission was complicated by this, it did solve some problems. Firstly, the engine and transmission were now more accessible for maintenance. Secondly, the turret could now be placed in the center of the hull, which moved the vehicle’s rotational axis and center of mass, thus making the main gun more accurate. The thickness of the armor could also be doubled without disturbing the vehicle’s center of mass, which meant that it could be better protected whilst maintaining stability. Whilst these developments sound superb, the trials that the T-44-122 undertook in February and March 1944 were not successful, as the gun failed. Trials were resumed in April and May after a brief return to the factory for repairs. It was put up against a captured Panther tank and the second T-44-85 prototype. It did not go well. It was discovered that the rate of fire was no more than three rounds per minute because the ammo was so heavy. As well as this, the turret was cramped and had an abysmal storage space that could only fit 24 rounds. 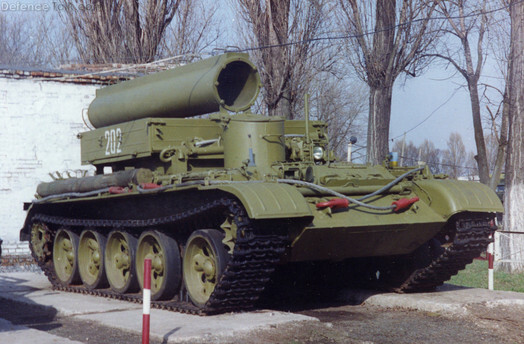 Development of the T-44-122 was subsequently ended. However, the second T-44-85 prototypes showed somewhat more promise. Other than mounting the smaller 85 mm (3.35 in) gun, they had minor differences between them, such as the position of the driver’s hatch, and one having a splashboard on the glacis plate. One of the prototypes had an 85 mm ZiS-S-53 gun and an increased turret armor of 115 mm (4.53 in), as well as hull side armor being upped to 75 mm (2.95 in). Despite this, it only weighed 31.8 tonnes. It passed the trials at the NIBT training grounds near Kubinka in June and July of 1944. Also, it did not feature a hull radio operator / machine gunner position, because the Red Army deemed it practically worthless – it was a weak point and firing the machine gun was ineffective due to obscured vision of targets. The radio operator duty was given to the commander, as having another crew member was simply inefficient. This was now designated the T-44A, after the Morozov Design Bureau had moved back to their original location of Kharkiv. It had a new V-44 12-cylinder 4-stroke diesel engine, producing 520 hp and gave the tank a top speed of 60 km/h (37 mph). Also, the driver’s hatch was moved onto the roof of the hull and the vision flap was replaced by a vision slot in the glacis plate. After some more trials in August and September 1944, it received a few minor upgrades which made it weight 32 tonnes. It was officially taken into service on the 23rd of November, 1944, but was never fielded during WWII. There were attempts to mount a 100 mm (3.94 in) gun on the T-44. In 1944, the Red Army had several potential guns of this caliber to mount, the D-10 (as used on the SU-100) and two prototype guns – the LB-1 and ZiS-100. Two prototypes of this vehicles were made, and were designated T-44B. Like the two T-44-85 prototypes, one had a splashboard and the other did not. Testing was conducted from October 1944 to February 1945, with further trials in March and April. The T-44/100 would later be accepted into service as the T-54. 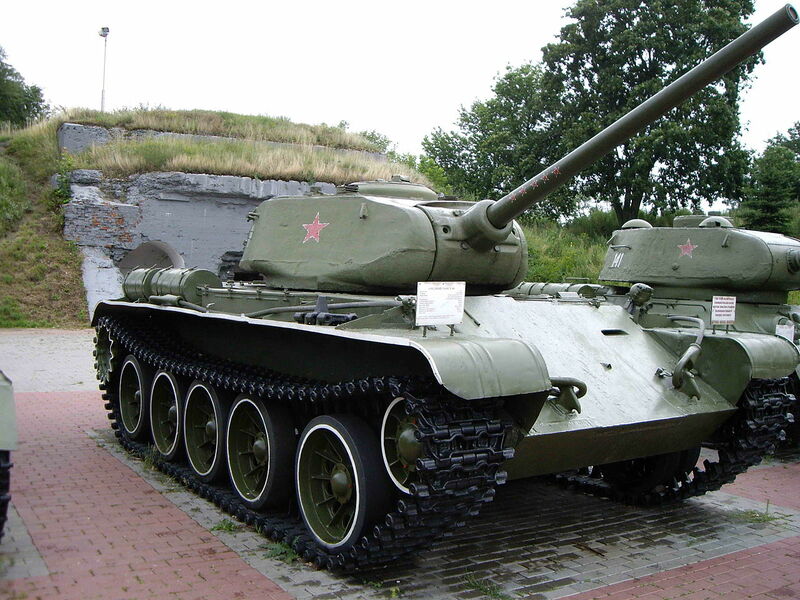 Most T-44 variants came about as a result of a modernization that took place in the early 1960s. 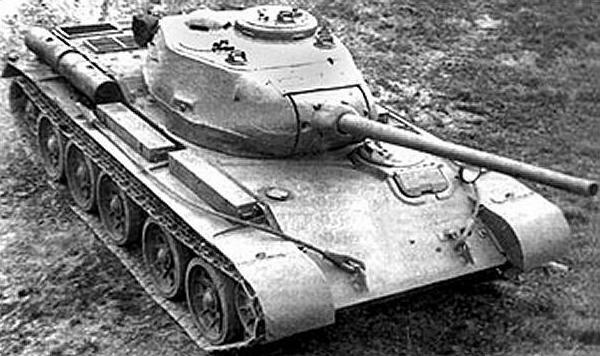 The T-44M was given parts from the new T-54 tank, such as a new gearbox, improved radio, space for three extra shells, night vision and infra-red sights, increased fuel capacity by 150 liters, and additional minor changes, in 1961. The T-44MK was a command version of the T-44M. It was given a much more powerful radio set and, as a result, ammo stowage was decreased by 15 shells. Some T-44As and T-44Ms were given the cyclone gun stabilizer and were designated the T-44S and T-44MS respectively in 1966. 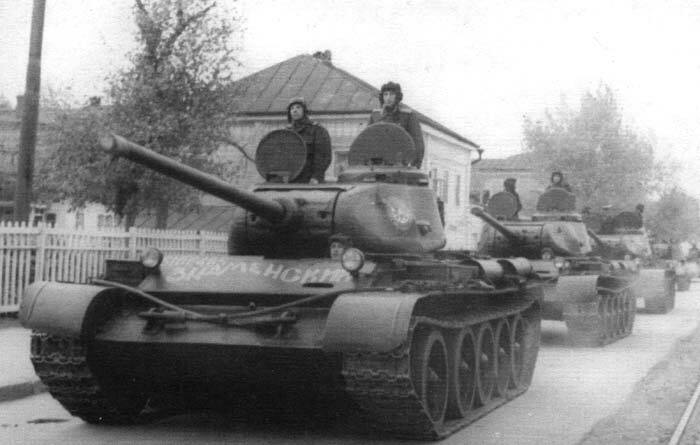 A few T-44Ms were converted into BTS-4A armored recovery vehicles in 1965. These tanks had no turrets and were instead given a stowage basket, crane, and hoist. The T-44 did not serve in WWII, despite being issued to three tank brigades for training in September 1944. The army could not take the new tank into combat because of the lack of spare parts, the time taken to retrain crews, and the lack of specialist engineers who could keep the tanks running. However, some tanks were stationed in the Far East during the final few days of fighting, leading to 600 T-44s being stationed on that particular front. Throughout the Cold War, the T-44 was a very secret tank and was, therefore, never shown on military parades. Subsequently, there are supposedly no photos of East German T-44s, even though they were known to exist. It is known that T-44s were used in the Hungarian Uprising, 1956, and some photographs exist, although there is skepticism of their authenticity. These T-44s were used like other tanks that were sent into Hungary, such as the IS-3, ISU-152, and PT-76, as checkpoints and patrols. 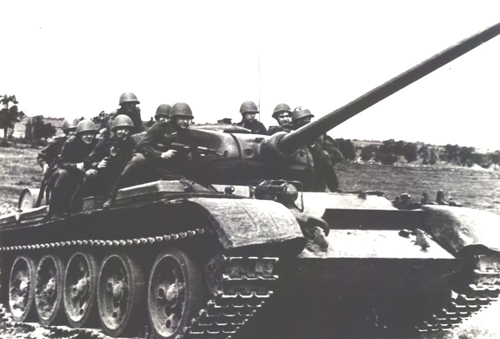 Some T-44s were also in service with the Group of Soviet Forces in Germany (the Soviet occupying force). Many T-44s and variants were converted into fixed emplacements along the border with the People’s Republic of China as a result of the vehicle being replaced by the T-54/55, and T-62, as well as the general stagnation of Sino-Soviet relations in the 1960s, meaning there was potential for war to break out. A T-44 being ridden during a training exercise, probably in the early 1950s: Notice the starfish roadwheels. 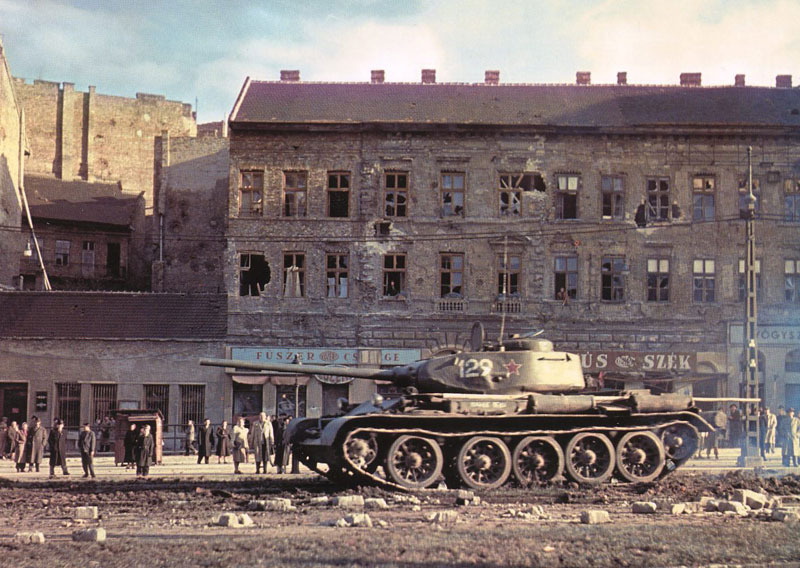 A supposed photo of an abandoned T-44 in Budapest, Hungary, 1956. There are two other purported photographs, but they are in black and white. Some skeptics have called all of these photographs fakes. The T-44 was not always best suited to Russian winters. There would sometimes be an incomplete draining of the cooling system as a result of the water pump system not being adapted to the reduced engine height. A shaft would break after the impeller pump froze and the repair of this was considered laborious in field conditions – it actually took several crew members to do. Two men had to lower the third into the engine deck to actually install the new part. Another example of winter problems is that there were reports of crew members suffering from frostbite. This was because there was no heating system fitted on the tank. As well as this, the driver was meant to be protected from the elements with a removable tarpaulin with a fitted glass window, but it was impractical to put up and operate with. Also, there were some issues with gearboxes and transmission in early models. Sometimes, the when the driver was changing gear, two gears could engage at the same time, which therefore broke a gear pinion – effectively disabling the gearbox. This problem was later fixed during modernization in 1961 by mounting a T-54 gearbox instead. This tank was designated the T-44M. During this modernization, which lasted until 1966, there were other aforementioned modifications. 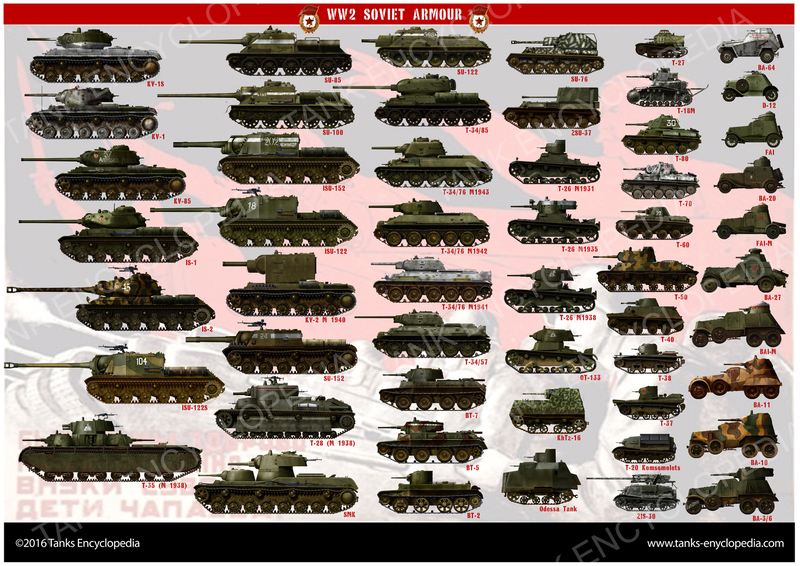 “Russian Tanks of World War II”, by Tim Bean and Will Fowler. Photographs and illustrations: Wikipedia. 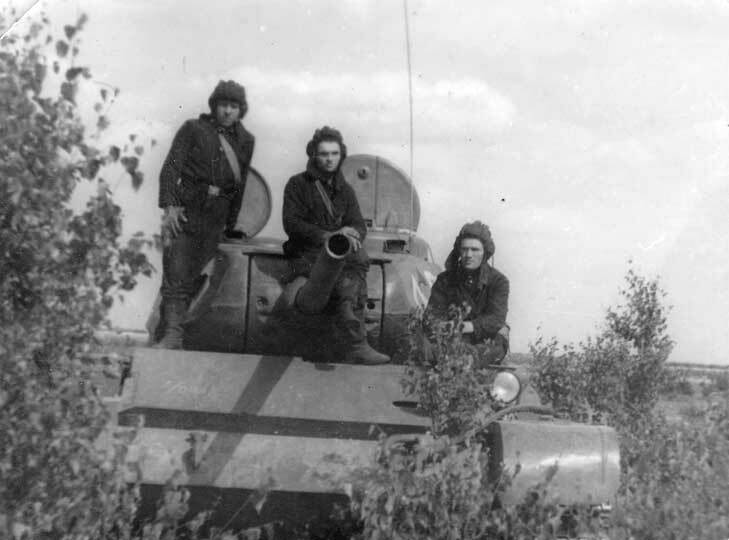 A “what if” operational T-44 in September 1944. In fact, this relatively secret tank never saw action in WW2. T-44 of an unidentified unit in training, 1945. Notice the full spider roadwheels. 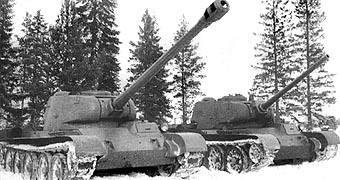 T-44 with dished roadwheels in winter exercises after the war. 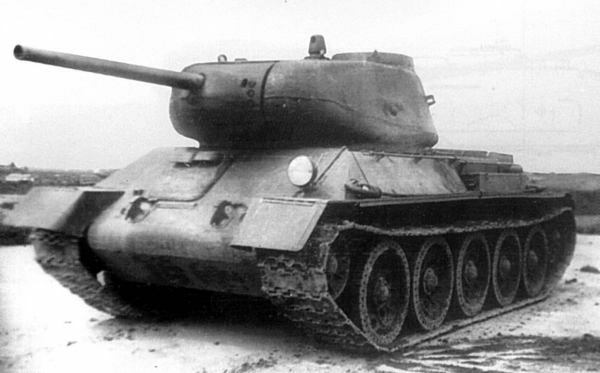 The T-44/100 prototype (February 1945). It was manufactured to carry the new gun because the T-34 transmission could not endure the recoil. The T-54-1 model 1948, first of the T-54 series and still significantly influenced by the T-44.